When choosing a mortgage loan, it’s essential to look at all of the facts. Buying a home is a huge financial decision. Being equipped with the right knowledge will ensure you and your clients have the right strategy. A 15-year mortgage has the appeal of a quick payoff, but is it better than a 30-year mortgage? Some people would say yes. We’ll show you how to figure it out. In this installment of Prosperity Proofs, we’ll compare a “typical financial planning mortgage” to a mortgage in line with the Prosperity Economics Movement (PEM). What is a “Financial Planning” Mortgage? Most of those bullet-points sound pretty nice, right? So why is a 15-year mortgage not necessarily the best choice? I’ll give you a hint: the third bullet point is key. What is a “PEM” Mortgage? A 30-year mortgage is starting to sound pretty good, right? The thought of such a long payment period often holds clients back. Realistically, the 30-year mortgage offers more financial freedom. Let’s look at the idea in action. Mr. 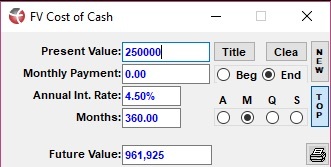 Client is buying a house for $250,000 and needs a loan of the same value. Fortunately, both a 15-year mortgage and a 30-year have the same interest rate of 4.5% at his bank of choice. If he goes with the faster repayment schedule, his monthly payments are about $1,912. The 30-year mortgage is a little easier on his wallet at $1,266 a month. But Mr. Client is hesitant to have debt that will take so long to pay off. And he’s going to have to pay more interest, right? To show Mr. 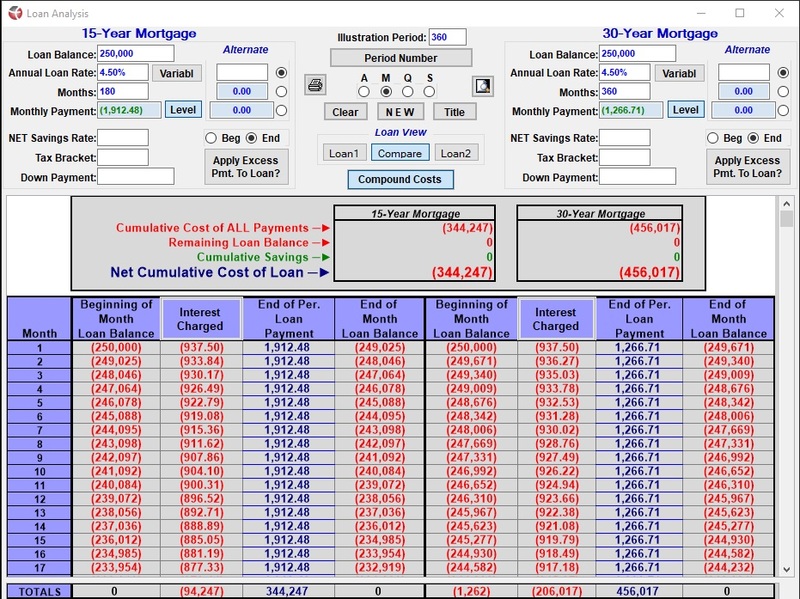 Client a comparison, we’ve used the loan analysis calculator. Comparatively, it seems like the 30-year mortgage is going to cost Mr. Client a lot more in the long run. What the calculator doesn’t account for is the time value of money; or, opportunity cost. If Mr. 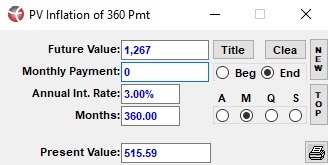 Client had saved that same $250,000 over a 30-year period, at a rate of savings that matched his interest payment, he’d have almost $1 million. So although it cost him $250,000 up front, his long term opportunities have disappeared. The 15-year (180-month) mortgage still seems better! The same exact number. Over that time frame, Mr. Client’s money paid in the first 15 years is still going to cost him the same dollars of opportunity. So are any of these options better, if they all cost the same in the long run? Revisit our “PEM Mortgage” list above, and you’ll start to see why it’s the better option. Lower monthly payments allow Mr. 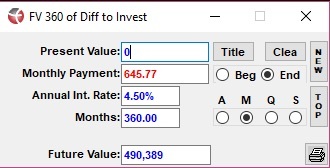 Client to save more right away. He doesn’t have to wait until his house is paid off to save. If opportunities pop up along the way, he’ll have an account to pull from to pay for them. If Mr. Client uses a whole life insurance policy as a savings vehicle, his money can even grow at a higher rate than typical savings. And, when he wants to spring on an opportunity, he can borrow against his cash value without reducing what’s in his account. That way, his account will continue to grow! He would have accessible cash for the same value as the opportunity cost of 15-years of high payments. That’s a lot to digest. And that inflation benefit? 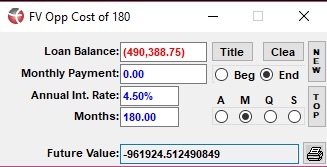 If we use a present value calculator, you can see that his very last payment will feel like $515 of today’s dollars. A 15-year mortgage won’t get inflation benefits quite like that. So what are some of the 15-Year myths? Higher equity reduces the loan balance but does not affect the value of the house which is determined solely by the market. More equity causes less negotiating strength with the financial institution. 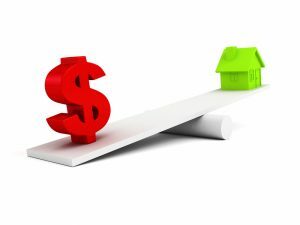 To access the equity, you must sell the home or qualify for financing to borrow against it. Extra equity can cause a loss of the property due to a reduction in the amount of available cash outside of the house for emergencies. Total payments minus the tax deduction compounded** at a COM*** rate is a real cost. With all of this to consider, a 30-mortgage seems like the right way to go. It keeps the client in control of their assets and their home. It provides the option to keep money where it’s liquid and accessible, not locked up in home equity. Walk your clients through the Seven Principles for Prosperity, and choosing the right mortgage will be simple! The principles of the Prosperity Economics movement teach people how to think through everyday financial decisions. We’re preparing clients for success! Advisors who are interested in learning more about the Prosperity Economics Movement, and how to take part, can visit Prosperity Economics Advisors. Clients can learn more at Prosperity Peaks. Next, we’ll take a closer look at what sets Prosperity Economics apart from typical financial planning.